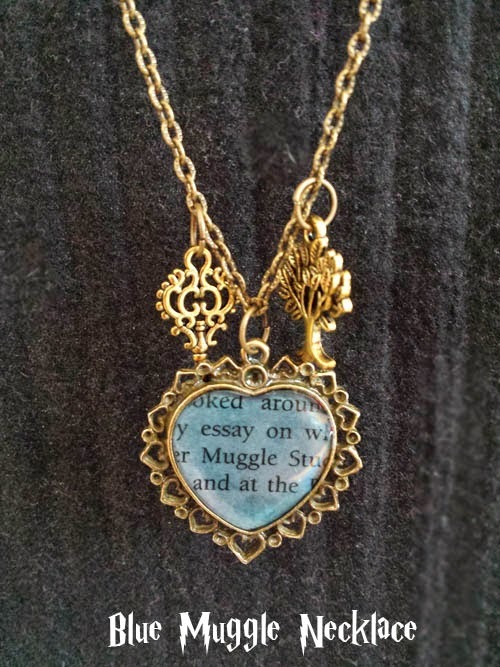 So, for all those who follow my blog, you may have seen my recent post on how I made my Harry Potter Necklaces using resin. They are all hanging over my mirror in the hall - on display for everyone to see as they come in! So I thought I'd give one away!! These are all one-off handmade pieces and therefore will have imperfections. I love them all and could not choose which one to give away so I thought I'd let YOU choose which one you would like if you won! I've set up a Rafflecopter for this as it is the best way for me to choose a winner with contact details. I also have the blog comment as the only mandatory option. Terms and Conditions are within the Rafflecopter widget. Wooo you have talent girl! Thank you for the chance to win such a unique prize! I love the top turquoise blue necklace above. My eldest son is a HUGE Harry Potter fan and he would love that colour too! Thank you! They are all stunning! I really wouldn't be able to choose either! 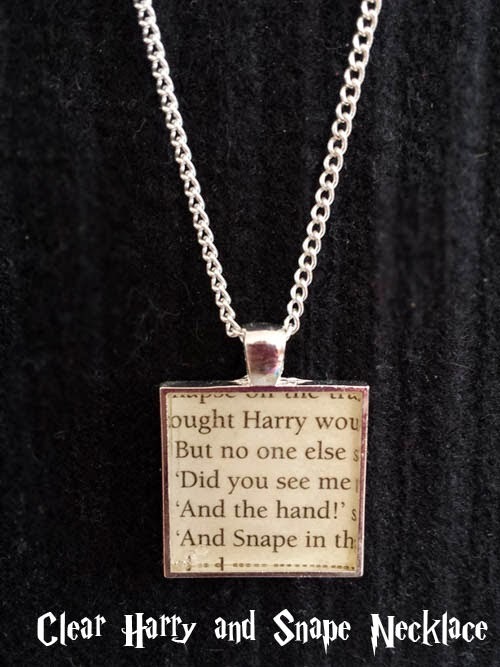 I love the simplicity of the harry and snape one but the colour of the blue muggles one and the charms design of the red one. I think overall I like the red one best. 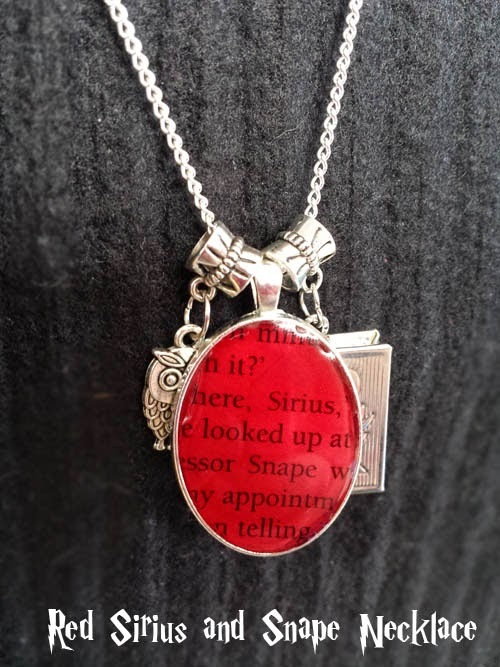 I like the Red Sirius and Snape Necklace as I like the owl and book.